NOT TOO SPICY HOT - ask for a sample! An authentic Mexican White Cheese Dip, served with Corn Chips. Our wings are not for the faint of heart. Once cooked, we add our special wing sauce and serve them with Celery Sticks and Bleu Cheese dressing. We offer a mild, hot, honey-bbq, and a very hot sauce. Our own spin on the Mexican Chili Con Queso, a mildly spicy Cheese Dip, served with Corn Chips. All White Chicken Strips, deep fried and served with a large order of Curly Fries and Honey-Mustard sauce. Our signature nachos made with our Spiced Beef, CCQ, Sour Cream, Diced Tomatoes and sliced Jalapenos. (Inspired by a deep south recipe) Black-Eyed Pea Dip made with Jalapenos, Green Chilies, Onions, Garlic and Cheddar Cheese. Served with Corn Chips. Mozzarella Cheese Sticks, battered, deep fried and served with our Homemade Marinara Sauce. A large order of thinly Sliced Onions, battered and deep fried, served with our thick Ranch Dip. Pepperoni, Sausage ~ Pepperoni, Sausage, Mozzarella, Provolone and Cheddar Cheeses, and served with our Marinara Sauce. Chicken ~ Diced Grilled Chicken Breast, Green Peppers, and Onions. 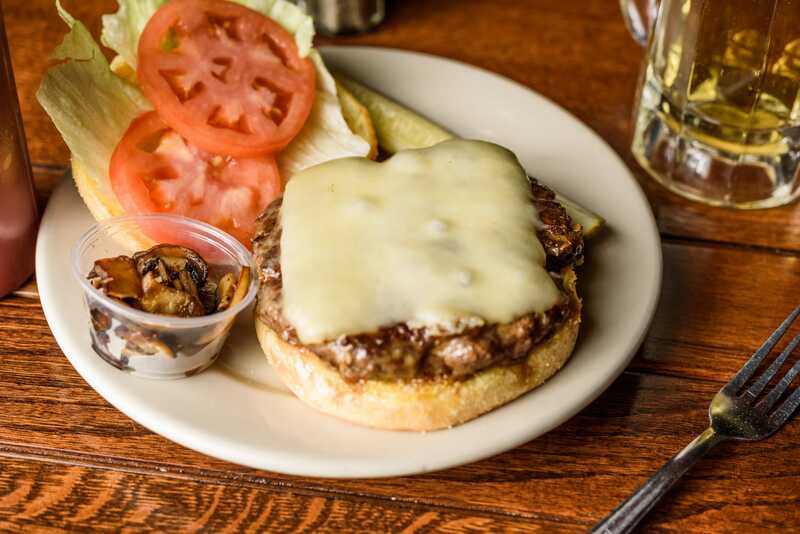 We add Mozzarella, Cheddar, and Provolone Cheese and serve with our Salsa. Mediterranean ~ Spinach-Artichoke Dip, Mushrooms, Mozzarella and Provolone Cheeses, and Diced tomatoes. Mozzarella Cheese Sticks, Chicken Strips, Chicken Wings or a 1/2 CCQ. Served with assorted dips. Alfredo Sauce, Grilled Chicken, Green Peppers, Onions, Mozzarella and Provolone Cheeses. Spinach-Artichoke Dip, Mushrooms, Provolone and Mozzarella Cheeses, topped with Diced Tomatoes. Provolone, Mozzarella and Cheddar Cheeses, Onions, Jalapenos, Black Olives and Salsa topped with Shredded Lettuce and Diced Tomatoes. Sour Cream is served on the side. The questions are ~ What Size & How Would You Like It Made! Feta Cheese, Kalamata Olives, Sun-Dried Tomatoes, Spinach, Bacon, Grilled Chicken. Mushrooms, Onions, Green Peppers, Black Olives and Diced Tomatoes. Pepperoni, Sausage, Jalapeno, Onions, Ground Beef, Mushrooms, Black Olives, Green Peppers, Diced Tomatoes. Our specialty burrito ~ A flour tortilla, Refried Beans, spiced Ground Beef, Cheddar Cheese, Sour Cream, Lettuce, and Tomato rolled up and topped with CCQ and Salsa. Served with Curly Fries. Prepared with Green Peppers, Onions, Mushrooms and Black Olives and served with Curly Fries. Taco Beef, Cheddar Cheese, Sour Cream, Lettuce, Tomato and Taco Sauce served in Pita Bread with Corn Chips, a side of CCQ and a Pickle Spear. A mix of mushrooms, black olives, green peppers, onions, swiss cheese, lettuce, tomato, mayonnaise, mustard and our homemade italian dressing. Served warm in pita bread. We cook our burgers either Medium (Pink) or Well Done (No Pink)! Variation on cook preferences can not be guaranteed ! Corned beef on grilled rye bread with sauerkraut, spicy brown mustard and swiss cheese served with a side of 1000 island dressing. Thinly sliced roast beef, sautéed with green peppers and diced red onions served on a french roll with mayonnaise and topped with swiss cheese. Dressings: Ranch, Blue Cheese, Honey-Mustard, Italian, Balsamic Vinaigrette and Caesar. Our Low Calorie Choices are: Low Calorie Italian, Fat-Free Ranch and Balsamic Vinegar & Oil. 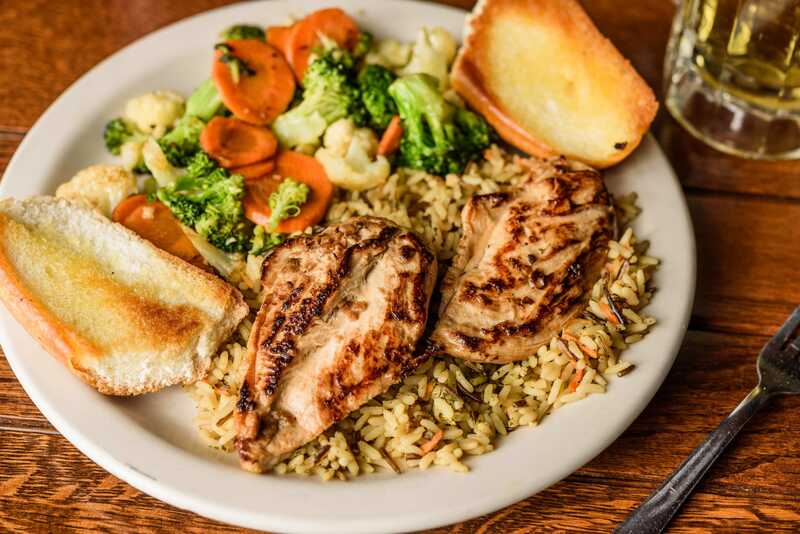 our marinated Grilled Chicken Breast served over an assortment of Vegetables and Rotini Pastas blended with creamy Ranch dressing and set on a bed of Lettuce, Carrots and topped with diced Tomatoes. our homemade Chicken Salad, Tuna Salad and Pasta Salad set on a bed of Lettuce with Tomato wedges and Cucumber slices along with a Pickle Spear. homemade Tuna Salad, served on a bed of Lettuce with Tomato wedges and Cucumber slices along with a Pickle Spear. our Fried Chicken Strips cut bite size with Lettuce, Red Onions, Tomatoes topped with Cheddar Cheese and Croutons. prepared on a bed of Romaine with Feta Cheese, Kalamata Olives, Banana Peppers, diced Tomatoes and sliced Red Onion. Served with Vinegar and Oil. Two Hot Dogs sliced on a bun, smothered in Chili with mustard and ketchup, then topped with Cheddar Cheese served with Curly Fries. homemade with Ground Beef, Provolone, Parmesan and Ricotta Cheeses then smothered with our special Marinara sauce. 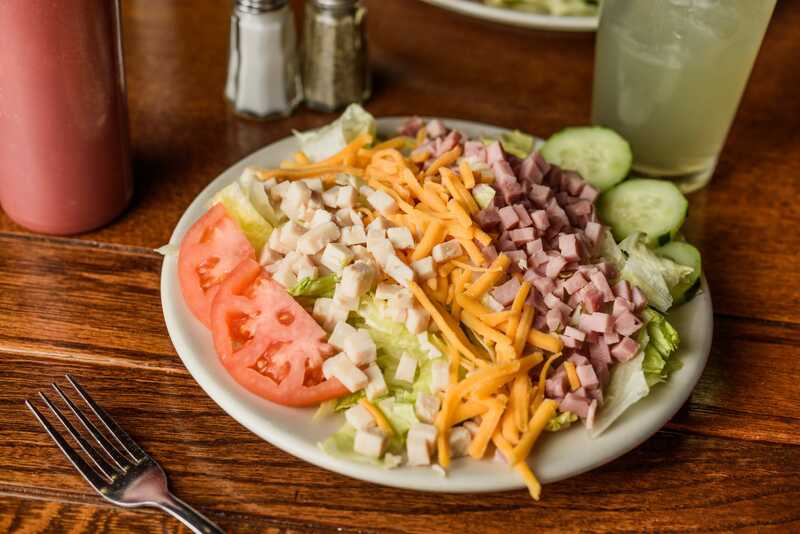 Served with Grilled Bread and your choice of a House or Caesar Salad. our special marinated Grilled Chicken Breast served over a bed of Wild Rice, Grilled Vegetables and Grilled Bread. Your choice of a House or Caesar Salad. All Items on the Kids Menu are served with Curly Fries and Beverage. A Brownie served with Two scoops of Vanilla Ice Cream, Whipping Cream, Hersheys Chocolate Syrup and a Maraschino Cherry.